Lundy, John S. Clinical Anesthesia: A Manual of Clinical Anesthesiology. W.B. Saunders Co.: Philadelphia and London, 1943. 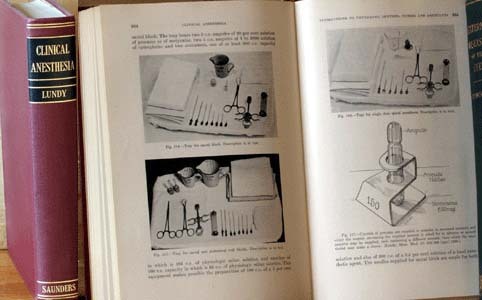 Lundy, John S. Clinical Anesthesia: A Manual of Clinical Anesthesiology, with 266 illustrations, index. W.B. Saunders Co.: Philadelphia and London, 1943, 769 pp. Condition: Excellent, tight binding, pages very clean.